TeslaTesla makes and sells solar panels, a home battery, and solar roof tiles that resemble traditional roof tiles. Tesla will close up to 14 solar installation facilities, Reuters reports. A Tesla representative declined to comment on the number of solar installation facilities the company is closing but told Business Insider that cuts to the company’s energy division were consistent with the company’s overall rate of 9%. The representative also said that, over the long term, Tesla’s energy and electric vehicle businesses will be the same size. Last week, Tesla CEO Elon Musk said the company would not renew its agreement with Home Depot to sell solar panels and battery packs at the retailer’s stores. Internal documents reviewed by the publication listed the either 13 or 14 facilities Tesla plans to close. The closures will affect installation facilities in California, New York, Texas, Maryland, New Jersey, New Hampshire, Connecticut, Arizona, and Delaware, according to Reuters. Around 60 facilities will reportedly stay open. A Tesla representative declined to comment on the number of solar installation facilities the company is closing but told Business Insider that cuts to the company’s energy division were consistent with the company’s overall rate of 9%. The representative also said that, over the long term, Tesla’s energy and electric vehicle businesses will be the same size. Last week, Tesla laid off about 9% of its employees in an effort to cut costs and eliminate redundancies, CEO Elon Musk said. Musk has said that Tesla will become profitable in the second half of 2018 and won’t need to raise money for the rest of the year, despite scepticism from some investors and analysts. Tesla has been known to spend cash quickly and post consistent losses in the 15 years since its founding. The company posted an adjusted loss of $US3.35 per share on revenue of $US3.41 billion during the first quarter. Analysts had predicted an adjusted loss of $US3.42 per share on revenue of $US3.32 billion. Musk also said last week that the company would not renew its agreement with Home Depot to sell solar panels and battery packs at the retailer’s stores. Musk said most Tesla employees who had worked at the Home Depot displays would be allowed to move to Tesla’s stores. Tesla bought the solar installation company SolarCity in 2016 for $US2.6 billion. At the time, some criticised the acquisition as a bailout of a business operated by two of Musk’s cousins, Peter and Lyndon Rive. Musk was the chairman of SolarCity’s board of directors before Tesla purchased the company. Tesla makes and sells solar panels, a home battery, and solar roof tiles that resemble traditional roof tiles. 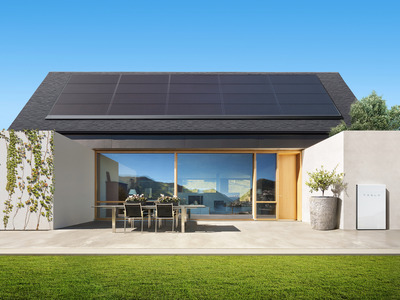 In its first-quarter earnings report this year, Tesla said it made a record number of installations and increased the backlog of orders for its Powerwall home batteries. The company said solar panel installations have decreased in recent quarters due to a shift in its strategy, which has included a move away from the door-to-door sales model SolarCity used before it was acquired.